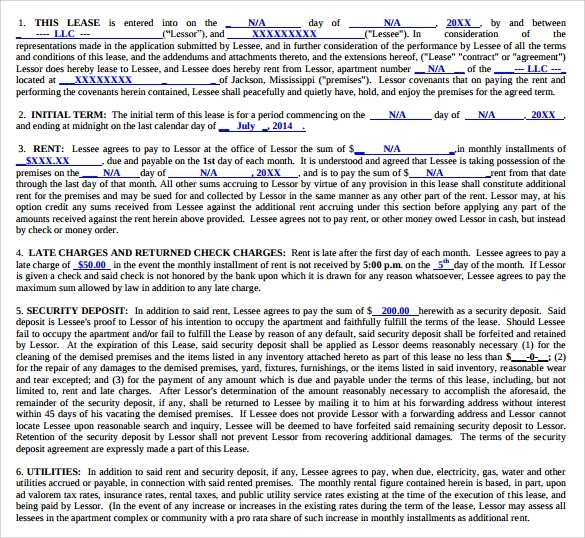 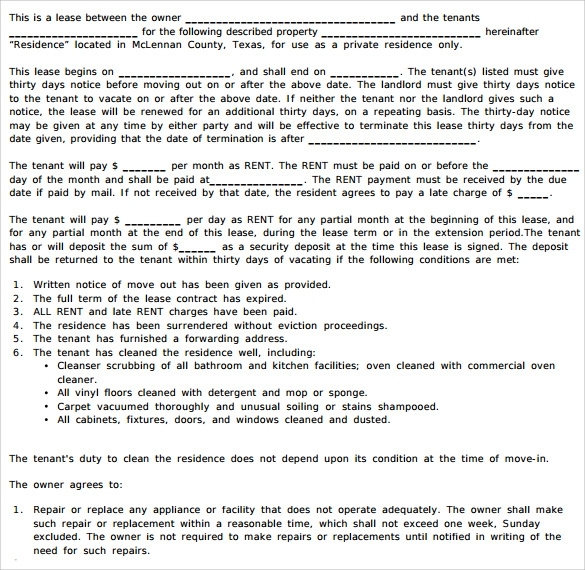 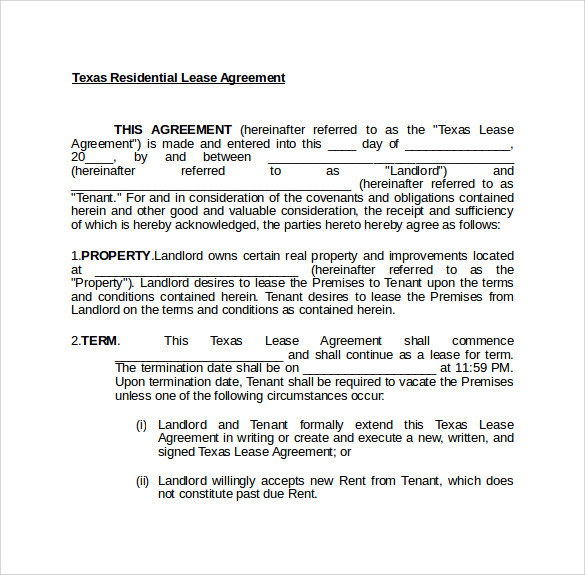 To a Texan these lease agreements are nothing more than a mere contract authorizing the lesser to provide their residential space for lease on a monthly rental structure.These Texas Residential Lease Agreement Templates cover all the required details of the landlord and the tenant and provide a clean display of the contract in demand. 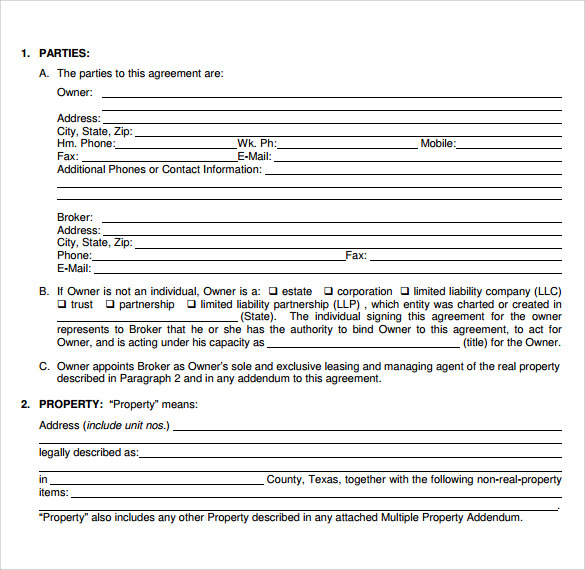 All our templates have been artfully written by professional writers, keeping your requirements in mind. 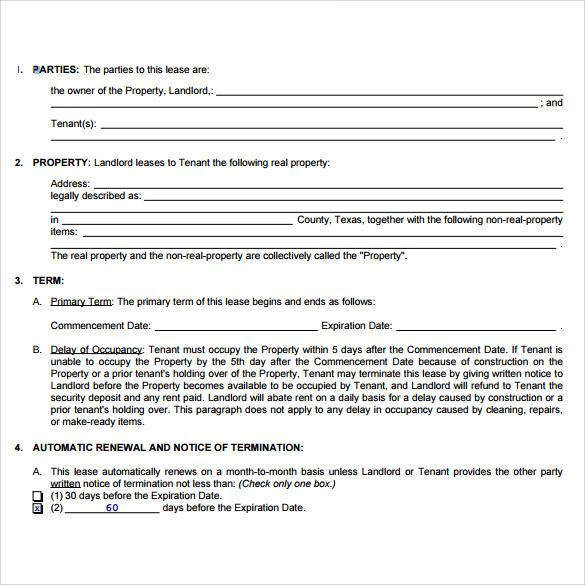 Choose from a wide array of our templates and keep your contract binding on all legal and justifiable terms. 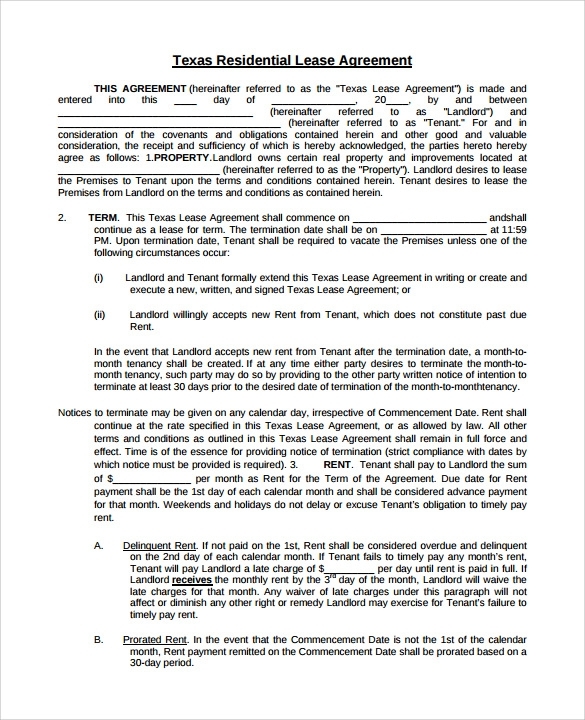 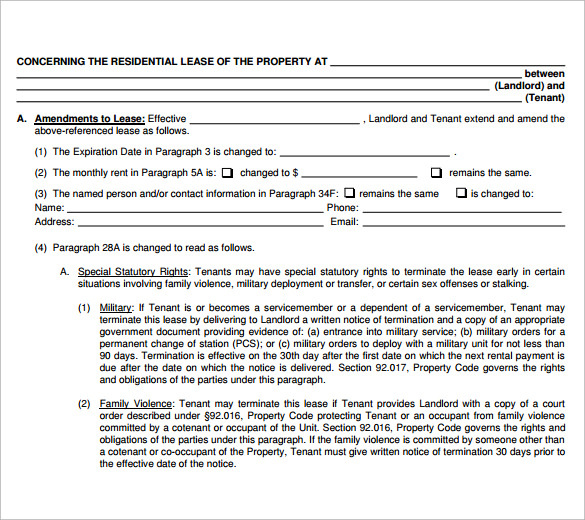 All these Texas Residential Lease Agreement Templates are available for download in a multitude of formats like MS Word, PSD, PDF and more for your convenience. 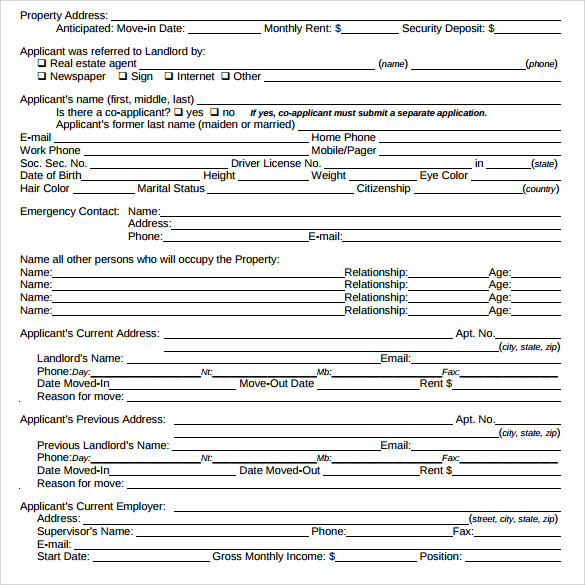 Download your choice, edit it to your needs and print away.